Are toys overrunning your home and rooms? One of my most frustrating things to keep clean is my daughter’s room. It is like a toy explosion in there all the time. 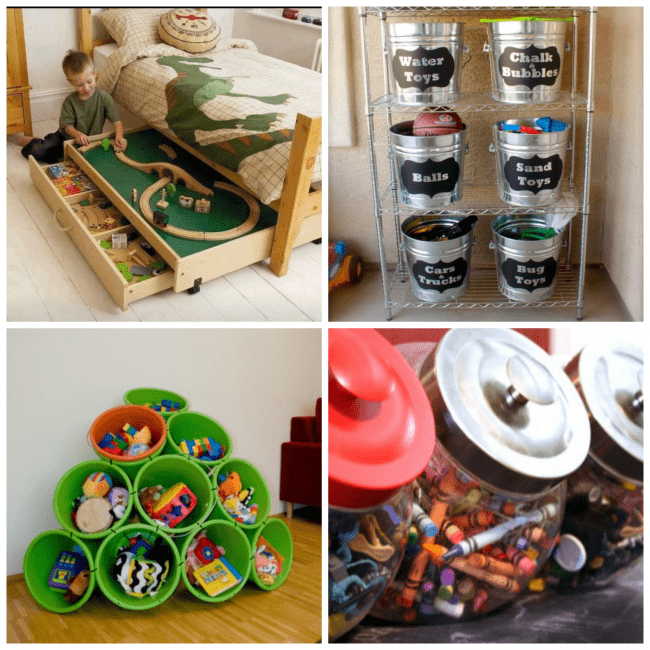 Whether it be your child’s bedroom or playroom you will be able to organize in a cinch with all of these great toy storage options and solutions. 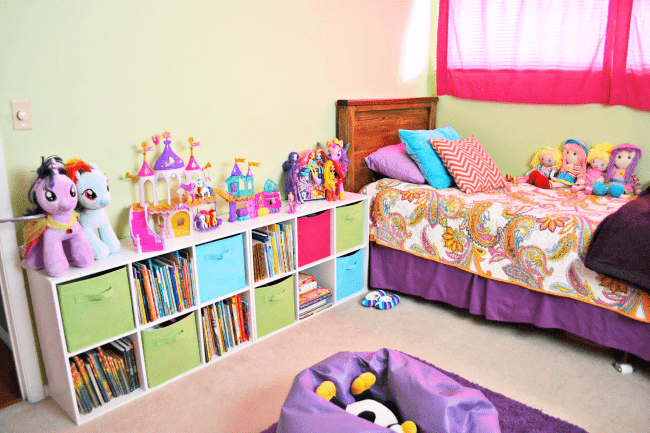 Organizing solutions for your kids’ clutter! 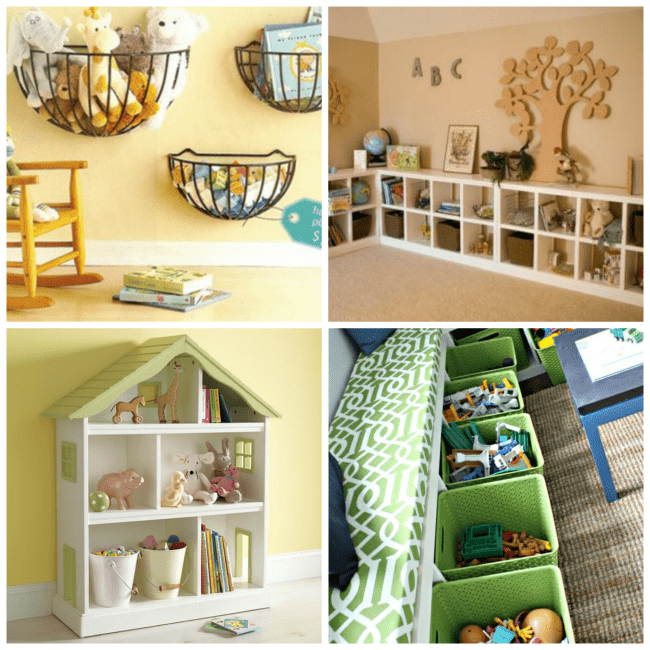 Tips on organizing with kids! View it from your child’s point of view! The easier to organize the better. 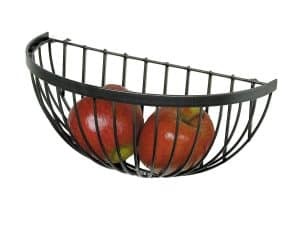 Baskets and bins are great for toys. 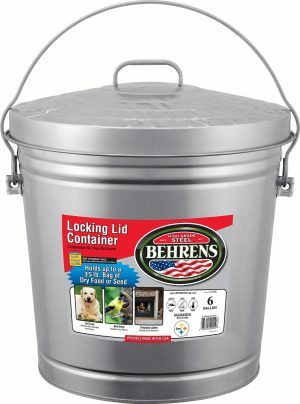 Use appropriate sized containers to fit your needs. Plastic shoe boxes are awesome for Barbie accessories or hot wheels. Make picking up a part of your daily routine! That way you don’t start the next day with more toys that get piled on the top of the mess from the previous day. I also truly believe if we make it fun and easy for our kids to organize their toys it will become second nature. I know I like my craft storage much better when it is organized and pretty to look at. Here are some of the solutions we use in my daughter’s room. We use an over-the-door shoe holder for barbies. It works great! We store books and all kinds of random toys in bins and cubbies. My daughter also loves to play dress up and has a lot of dress up outfits. We store them in a metal trash can. 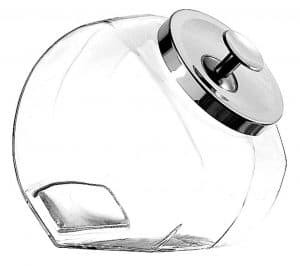 It makes it easy to toss in the mess and close the lid on it. What are some of your favorite ways to store all the toy clutter? 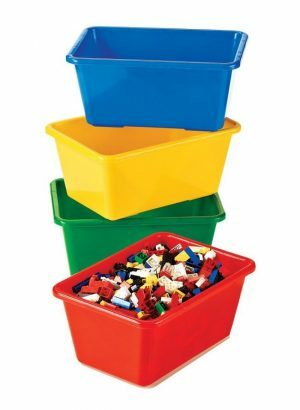 How to store Legos in your home! 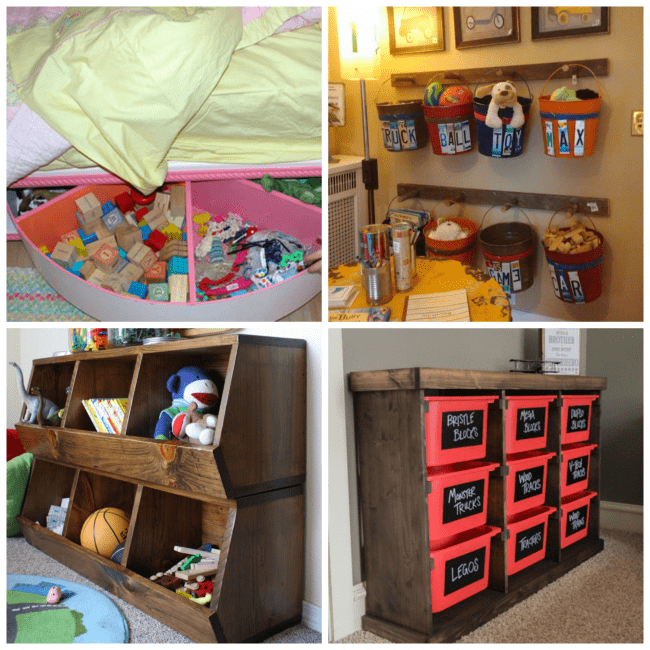 Great list of storage solutions, Melissa! 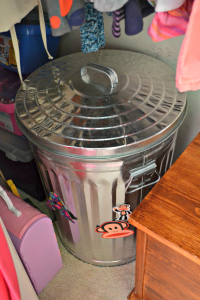 When my kids were little, plastic storage bins were the norm as they collected Barbie and her plethora of accessories, Polly Pocket, Legos, Star Wars, etc. I cannot believe how quickly the little stuff accumulates and it is nice to be able to have a place to store the pieces! Great ideas! 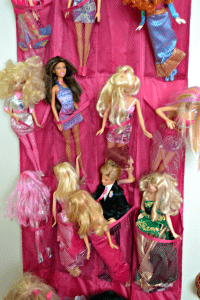 We use a pocket organizer on the back of my daughter’s door for her Barbies too (and stuffed animals). Thanks for sharing! Works great for all of those dolls right? “It is like a toy explosion in there all the time.” – oh, how well I know what you mean!! Thank you so much for sharing your experience! I think I’ll go with the cubbie shelves and hope they save the day!